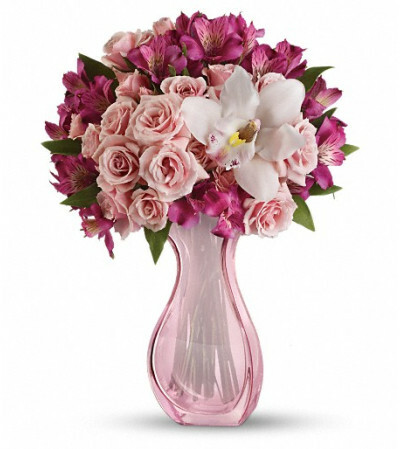 Give Mom a truly unforgettable day with delicate pink spray roses and purple alstroemeria in a stunning hand-blown pink glass vase. 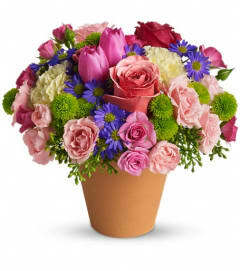 This beautifully contemporary keepsake vase will give her years of joy. 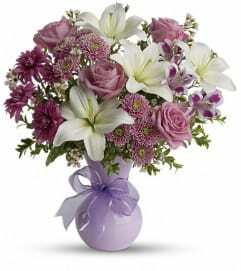 The lovely bouquet includes light pink spray roses and purple alstroemeria.Delivered in a stylish hand-blown pink glass vase.